ARLINGTON, Va. — Upon receiving word that the 2018 World Cup in Russia was about to begin, Arlington resident Joe O’Connor has finally arisen from his four-year hibernation to explain offsides and other rules of the game, sources confirmed Monday. Upon the conclusion of the 2014 World Cup in Brazil, O’Connor, as is his practice, consumed several gallons of kombucha to build his stores of insufferably trendy food stuffs before succumbing to his four-year hibernation period until the next World Cup. 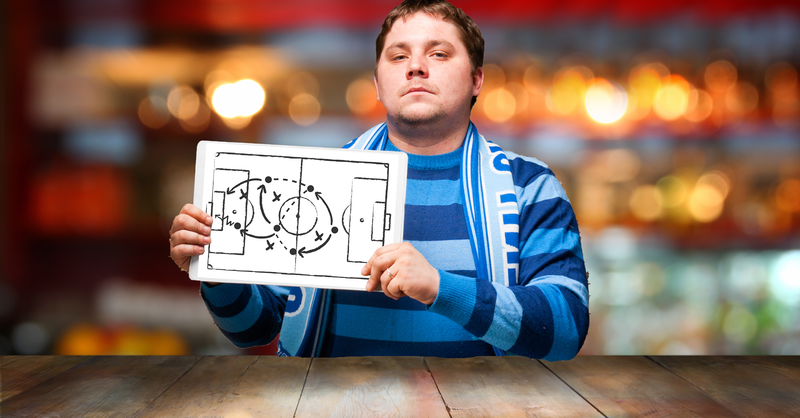 Having skipped four, boring years where he could not regale groups of young professionals with tales of his superior soccer knowledge, O’Connor was more than ready to get back to his favorite activity: explaining the nonsensical rules of a game he insists is still relevant in the United States. O’Connor awoke from his hibernation surprised to see that Americans still have not fully embraced the nuances of soccer, a sport that evidently is still played in the years between World Cups by effete Europeans too small to play rugby. A resident of Arlington for his entire life, O’Connor has taken it upon himself to explain the rules of soccer to bar-goers throughout Northern Virginia and Washington, almost always without being asked. O’Connor was recently seen at First Down Sports Bar & Grill, donning a Lionel Messi jersey and cornering a bored young woman to provide unwanted commentary about that day’s match. “You see, the midfielder in that situation absolutely has to fall to the ground screaming as if he tore both of his ACLs,” O’Connor explained. Perhaps O’Connor’s biggest joy in life is explaining the rules pertaining to offsides. In soccer, offsides is called when one player attempts to do something interesting, such as score. In an attempt to put an end to this seemingly foolish practice, soccer referees are instructed to call offsides right when anything potentially worth watching occurs. It is O’Connor’s favorite rule to explain. Unbeknownst to him, everyone at the bar had switched to NFL training camp coverage as soon as he opened his mouth. So far, O’Connor’s resurgence and education sessions have been largely successful. He has only been assaulted 12 times, an eight-year low, and has only put 546 people in a coma due to abject boredom, also an eight-year low. Be sure to swing by our online store for some cool merch.